The Bucs are back in action and you’re probably wondering what’s the best deal or method for tuning into all of the football action. In this guide, we cover several different options such as Sling TV, DIRECTV NOW, digital antennas, and more. 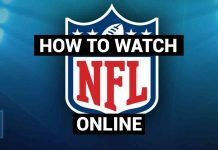 Not every service offers all the channels the Tampa Bay Buccaneers football games will be broadcast on so we try and help you get the information you need to make the best choice for your individualized viewing preferences. Sling TV is one of our favorite streaming services because of the channel options, flexibility to customize packages, and price. Sling TV offers local channels such as FOX, ABC, and NBC. Sling TV also offers ESPN, NFL Network, and NFL RedZone channels. The Buccaneers have 14 games on one of these channels. Sling’s Orange package ($20/month) contains ESPN but does not contain local channels. The Blue package ($25/month) offers local channels but not ESPN (R). Most of the games are on local channels so this option may be your best option. Of course, there is the Orange + Blue package ($40/month) which contains all of the channels. To learn more about Sling TV check out our comprehensive review. Sling is currently offering a FREE Roku Express and for new customers. 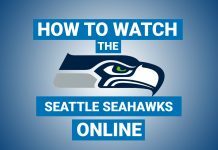 They have recently added NFL Network and NFL Redzone to their comprehensive channel lineup which also includes FOX Sports regional networks, beIN Sports, CBS Sports Network, BIG Ten and PAC-12 Networks, NBC, CBS, FOX, FS1, and more. Honestly, you can’t go wrong with the offering and price. DIRECTV NOW is an up and coming service. The base package offers 60+ channels including FOX, NBC, and ESPN. Noticeably absent is CBS and NFL RedZone. 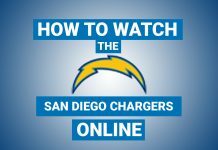 NFL Sunday Ticket is also unavailable as a premium add-on. New DIRECTV NOW customers can receive DIRECTV NOW for $10/month with any qualifying AT&T Unlimited wireless plan. This streaming plan also offers a 7-day free trial. If you are on a tighter budget or simply looking to watch Tampa Bay Buccaneers football the most inexpensive way possible you will want to explore getting a digital OTA antenna. Additionally, a digital over-the-air antenna can work as an awesome supplement to services like Sling or DIRECT TV NOW due to CBS being absent from most streaming services. The Bucs have 2 games on CBS this year. Sling TV recently released the AirTV Player which allows you to connect your OTA antenna to this set-top box to work in conjunction with Sling TV. For more reviews and information about which antenna is best for you, please check out our HD antenna reviews. 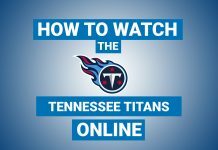 Verizon – They offer an app that live streams Monday, Sunday, and Thursday Night Football (R) games for free. You must use a device that uses Verizon’s network. If you are a customer this is a great option especially if you cannot make it in front of a TV set. Just make sure you have a data plan that is sufficient because it does use a lot of data. 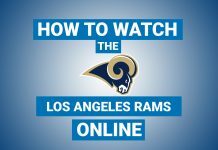 NFL GamePass – This service is available for a one-time payment of $99.99 until July 21, 2018. While this initially may seem better than the alternatives it is worth pointing out that many games are subject to blackout restrictions. This option is best for people looking for out-of-market games. PlayStation Vue – This option is very similar to the Sling and DIRECTV NOW services. They have recently increased prices so we are hesitant about recommending this if you just want football. Check out our analysis of this live streaming service. 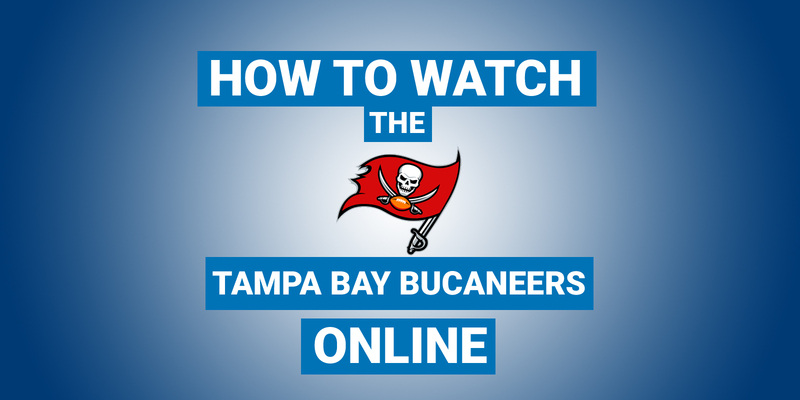 What About Illegal Streams Of Tampa Bay Buccaneers Games? We will never recommend for cord cutters to seek out “free” illegal streams. Most of these streams are shaky, blurry, and low quality but most importantly these illegal streams can be dangerous. Many sites that offer these streams are untrustworthy and laced with viruses. This simply causes more headaches in the long run and after all, it is illegal.